If people paint a room in the colours of their favourite soccer team then they must be close to being fanatical fans! That can certainly be said of young Sean Coleman’s family after their kitchen received a blue and white coat of paint in honour of Brighton F.C. 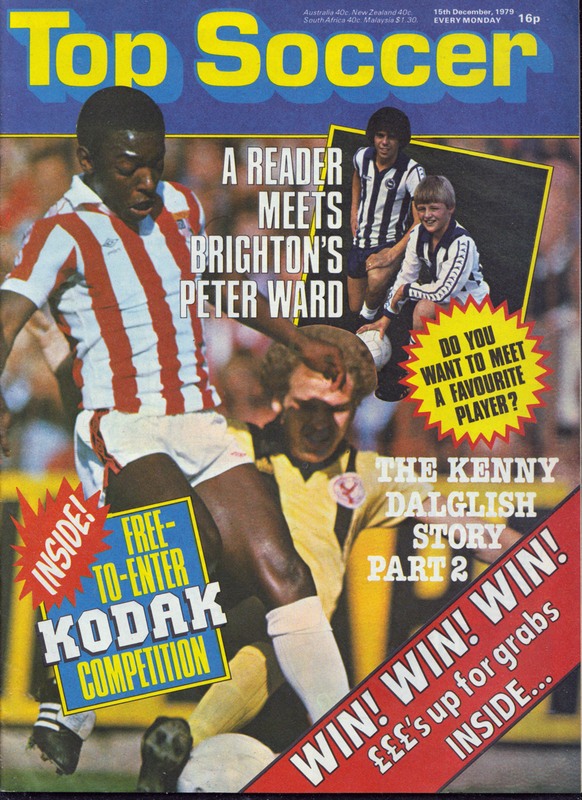 That fact persuaded us to grant 11 year-old Sean his wish of meeting his idol, Peter Ward. Sean was so excited at the prospect that he couldn’t sleep the night before and woke up at 6 o’clock in the morning. 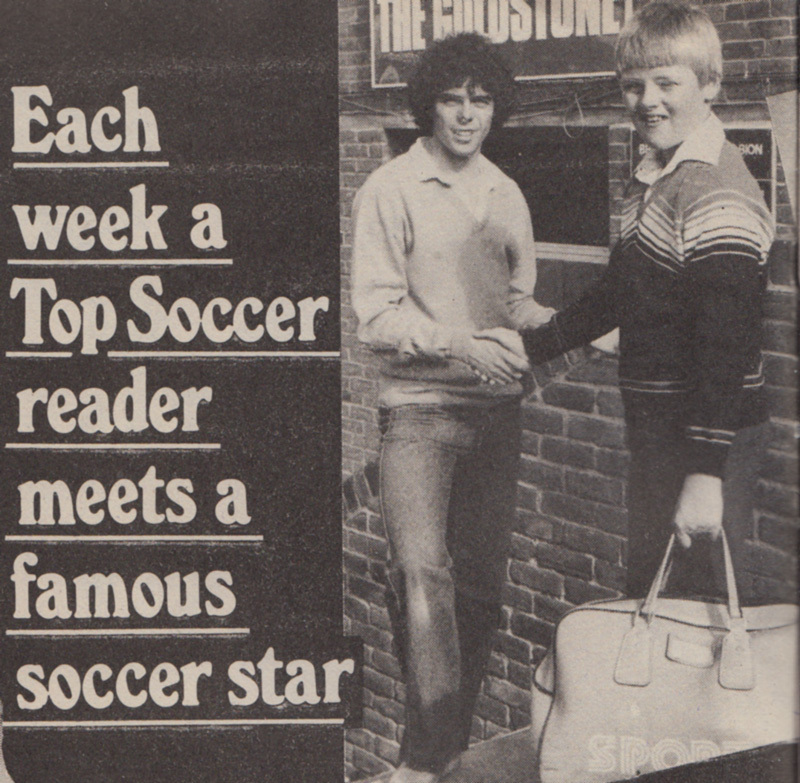 He met Peter outside the Goldstone Ground with his kit bag at the ready. Within a couple of minutes, he was achieving his greatest goal by running out of the tunnel in his ‘Seagulls’ strip. Sean could hardly believe it when Peter gave him a few priceless tips on the game then autographed his football for him. 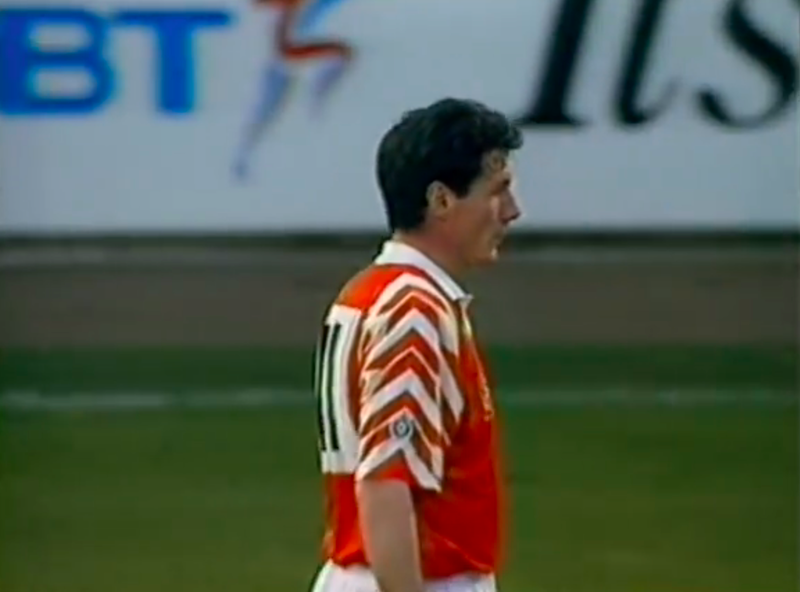 Then it was over to the dugout where Peter took it easy for a cup of tea while Sean got on Alan Mullery’s ‘hot line’ to the director’s box… to talk about the colour scheme at the Goldstone, no doubt. Marvellous! 36 years on, I wanted to see if Sean was still supporting the Seagulls. After a bit of detective work, via North Stand Chat, I managed to track down Sean to ask him about his great day at the Goldstone all those years ago. Bet it must have been strange to see your name discussed on NSC! And then things turned full circle. The morning training session is over. Eric Steele, Watford’s £100,000 goalkeeper sits back in a comfortable chair and enjoys a refreshing cup of tea. But you won’t find him idle for long! He’s too busy settling in at his new club, getting his own career back into top gear, and planning how best to continue the schoolboy coaching he built up so successfully in Brighton. But there is time to look back on the move that took him back into the Second Division, in October. “I didn’t want to leave Brighton,” he says. “That’s the first and most important point. It wasn’t my decision, it was Alan Mullery’s. I think he was wrong and I’ll be proved right in time. Once he’d made up his mind, I had to resolve myself to leaving. “But it hurt. It took me a long time to get to the First Division and I think that in the ten games I played, I proved I was good enough to keep my place at that level. But once I knew I was on the move, I wanted to get away as quickly as I could. “I went on the list on a Thursday and Watford came straight in for me the next day. I’d signed for them within a week. I was very happy to join such a progressive club. I would never have come here if I didn’t believe we would be a First Division side in a couple of years. 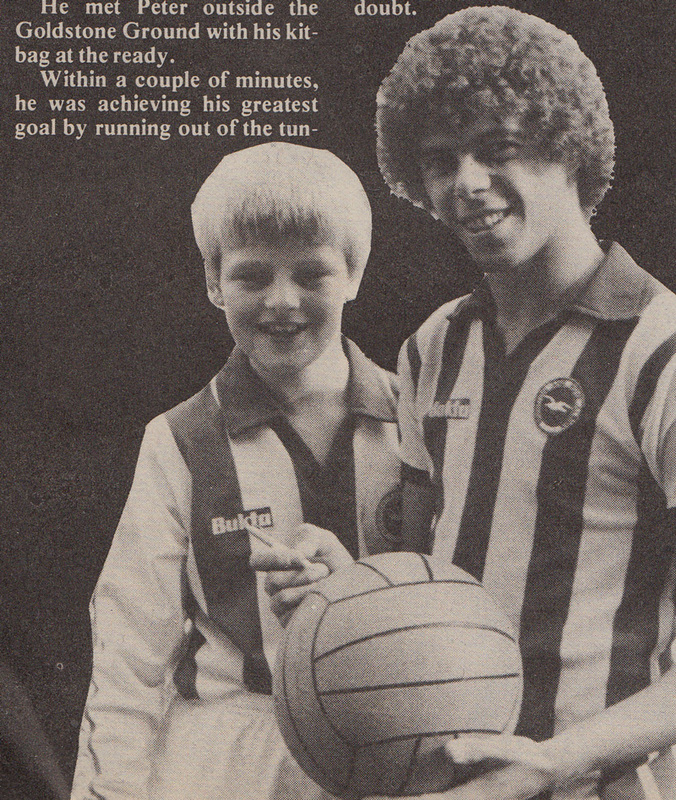 At Brighton, Eric filled much of his free time by coaching schoolboys and helping handicapped people. He intends to carry on the good work in Watford as well as keeping an interest on the South Coast. “I’ve been interested in coaching ever since I left school,” he explains. “I was going to train as a teacher, but then I got the chance to join Newcastle United and I took it. But I never lost my interest in coaching. “The main idea I want to get across to the lads is that they should enjoy their football. Professional players have to live with pressure, but while you’re at school it’s fun. If any of the kids think they’re good enough to earn their living from the game, they should work hard on their skills. But they should try to get some qualifications behind them first. Eric has seen the cruellest face in football. Young apprentices of 17 or 18 who have failed to live up to their early potential. They’re on the list, with nowhere to go. They feel washed up, before their young lives have really begun. Eric did just that, when he was a lad, up on Tyneside. He left school with three ‘A’ levels, but still found plenty of time to play football. 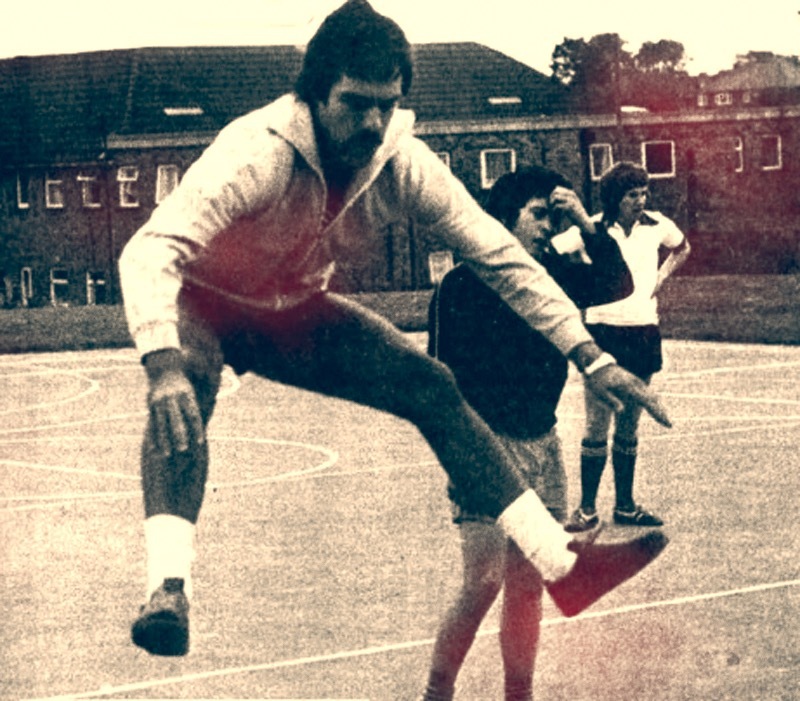 Eric’s enthusiasm for the game always comes across when he coached schoolboys. But would he like to see more stars taking the time to give something back to the game, at grassroots level? “A lot of people say players are too selfish to give up their free time, but I don’t think that’s the reason so few do it. SHOOT readers might be surprised to hear me say this, but a lot of professional players lack self-confidence. The thought of standing up and talking to a crowd of youngsters brings them out in a cold sweat. “Every player has his own personality. Some are good at talking to people, some aren’t. But the ones who are shy often enjoy coaching, once they’ve got over the first ten or 20 minutes. I noticed that when Brighton had a sponsored scheme last year. Every week, two players would go out to a local school and talk about the game. Watford’s soccer stars of the future will be getting plenty of sound advice from Eric in the months to come. Talented youngsters need help. And who better to give that help than the local soccer stars? If more thought like Eric Steele, the future would look brighter for British soccer. And after the controversy and disappointments of recent months, Eric’s future looks rosy again, with Watford. There were 100,000 cheering fans in Wembley that day and we certainly silenced the Red Army when I scored in fourteen minutes. Gary Howlett fired a diagonal cross towards the far post and I drifted in behind their defence to head the ball back across goal, beating Gary Bailey at his left-hand post to score the opener. 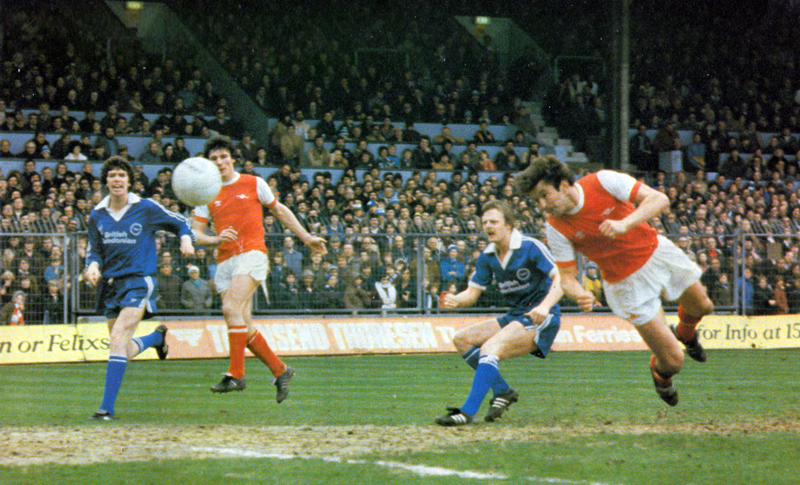 Yes, folks, Gordon Smith did score at Wembley in the FA Cup final! We were well organised that day and, at half-time, we were still one up. As we trooped off the park, I looked at the giant Wembley scoreboard, saw my name as the scorer and thought that maybe, just maybe, we could pull off a shock result and I would be a hero for scoring. Also interested in Justin was the manager of another Second Division team, Chris Cattlin of Brighton & Hove Albion. Feeling he might be a difficult player to manage, Cattlin decided to invite Justin to stay at his house for four days so they could get to know each other. They obviously hit it off and the transfer was agreed. Catlin explained: “Justin had a reputation of being a bit of a problem player with his other clubs but that is all in the past. In my dealings with him I’ve found him to be a smashing person and the sort of player our supporters will take to.’ He told the Evening Argus that Justin was ‘a dedicated player who has been asleep for a couple of years’, adding ‘I’m sure, with us, he will bring his talents to fruition’. For his part, Justin told The Times: ‘I only took this step after a good deal of thought and prayer. I am convinced Chris Cattlin can get the very best out of me.’ He described the move as the most important of his career. He must have felt it was his last chance to regain the form he had shown at Norwich and in his first few months at Notts County. He signed in June 1985 for a fee of £115,000 given a generous three year contract, reported to be around £45,000 a year. He had passed his medical but there was an exclusion clause on his troublesome right knee. It would only be covered by insurance after he played 12 consecutive League games. There was some lingering ill-will from supporters over various incidents when he had played against them including the injury to Jeff Clarke the previous season. When still at Norwich, he had broken the nose of Brighton’s defender, Andy Rollings, who was then sent off after swinging a punch at him. The photo was taken just before Brighton’s first ever match in the top flight, in August 1979. Frank, one of Europe’s most feared strikers at the time, holds the distinction of scoring the first ever goal in the Seagulls’ four year stay in Division One. 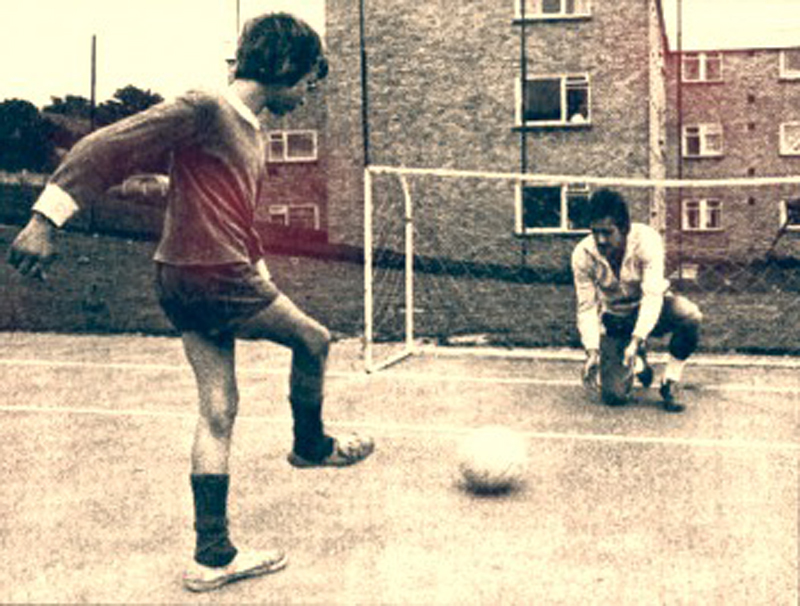 He beat Eric Steele with a thunderous shot from 20 yards in the Gunners’ 4-0 victory. 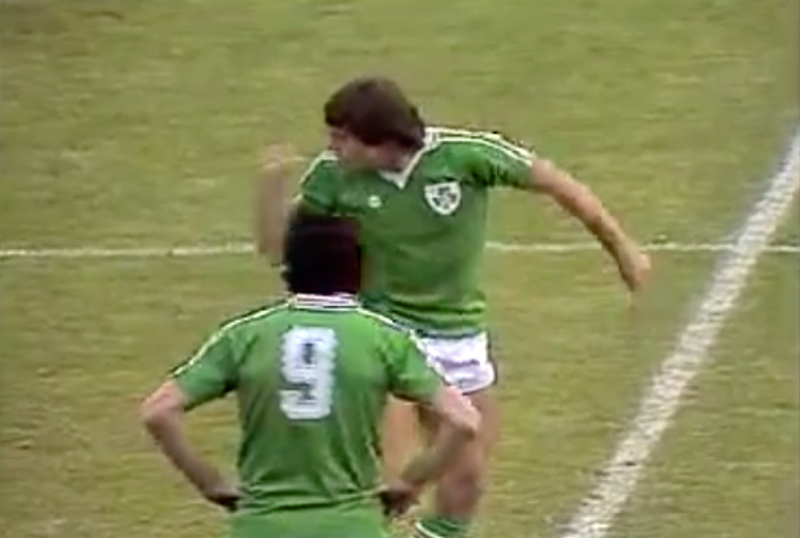 The Eire team also featured Lawrenson and Liam Brady in midfield as well as current Brighton boss Chris Hughton at left-back. 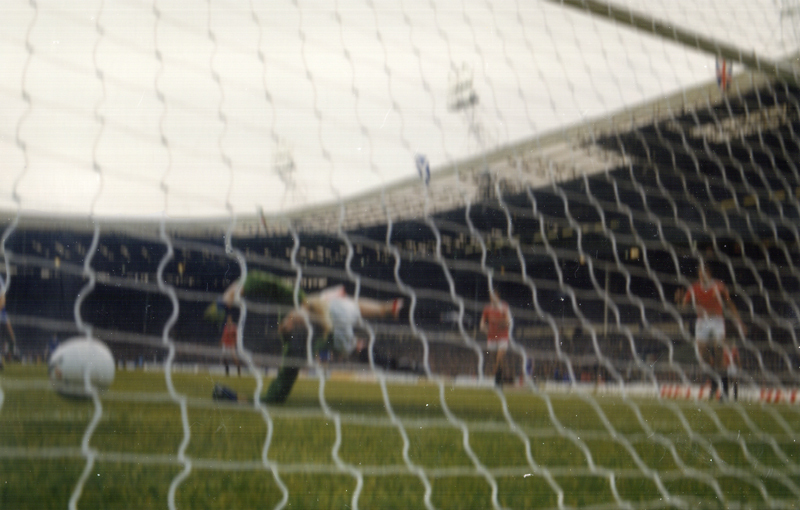 The following 1982/83 campaign, Stapleton’s eye for goal proved a considerable thorn in the Seagulls’ side at Wembley, bundling in Manchester United’s equaliser in the first match. 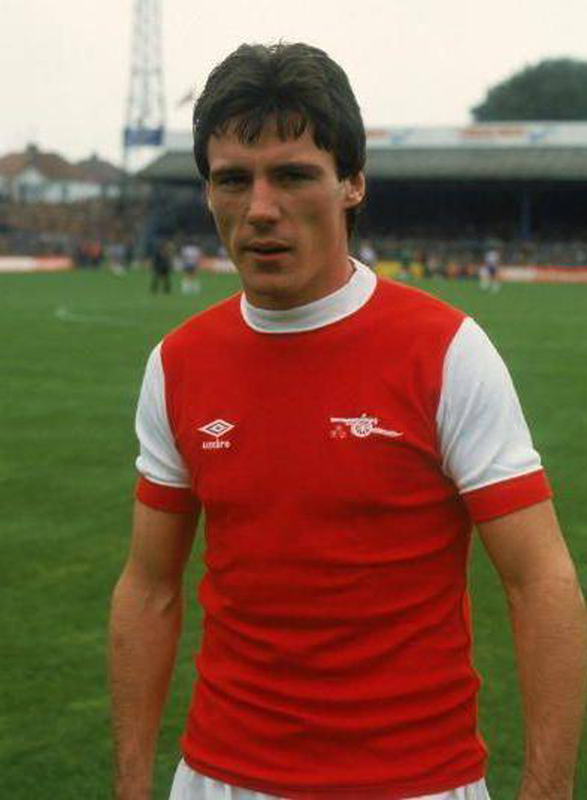 Frank’s career subsequently took him to Ajax, Anderlecht, Derby, Le Havre, Blackburn, Aldershot, Huddersfield and Bradford. After being sacked as player-manager of Bradford City, he joined Brighton to help out his ex-Gunners team mate Liam Brady in 1994/95. While at Brighton, Frank applied for the vacant managerial post at Oldham. He then became QPR’s reserve team coach under Ray Wilkins before resigning in February 1995. After that, Stapleton was appointed head coach of New England Revolution, in the new American Major Soccer League, but resigned that summer. Frank currently works as assistant manager of the Jordan national side, as number two to Ray Wilkins. The Division Two match was a reunion of the sides that had gained promotion from the Third Division in magnificent style and to huge crowds in the previous campaign; Villa taking the Third Division championship on 70 points and the Albion as runners-up on 65 points. Brighton stood in 19th position after the result, but were to sink in Division Two, finishing bottom by the end of 1972/73, despite gaining goalkeeper Tommy Hughes on loan from Villa in February. As for the Villans, they found the waters of the Second Division were to their liking. Vic Crowe’s side finished 3rd, one place off promotion back to the top flight, although they were nine points adrift of QPR as runners-up. Still, it was a magnificent achievement for the Midlands club. 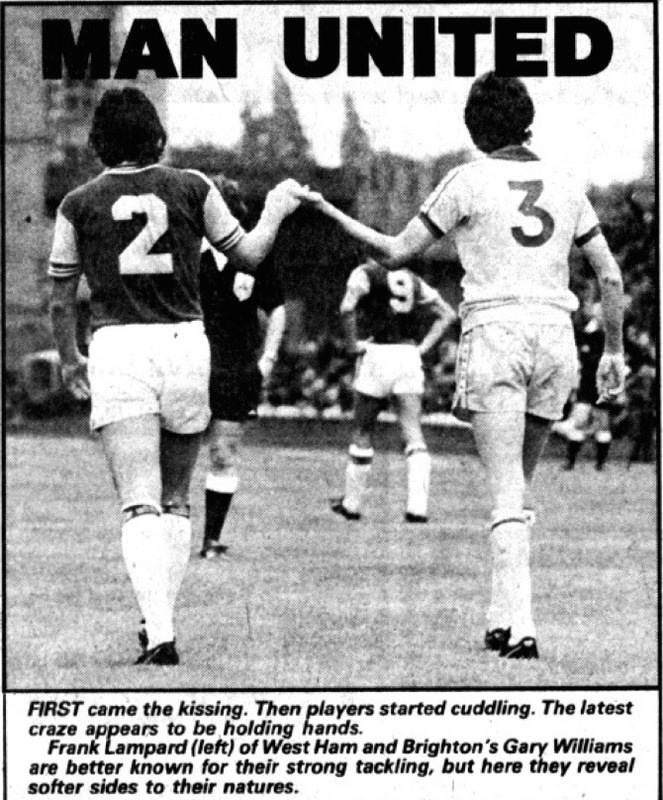 A sign of the changing fortunes of the two promotion rivals of 1971/72, came in the match at the Goldstone Ground in January 1973. Alun Evans gave Villa a half-time lead before his side went on to secure a 3-1 victory thanks to further goals by Ray Graydon and Jimmy Brown. The win took Villa from 5th to 3rd. A dispirited Brighton, who scored via a John Brown own goal, had to face up to their twelfth successive defeat, and remained in 22nd place. 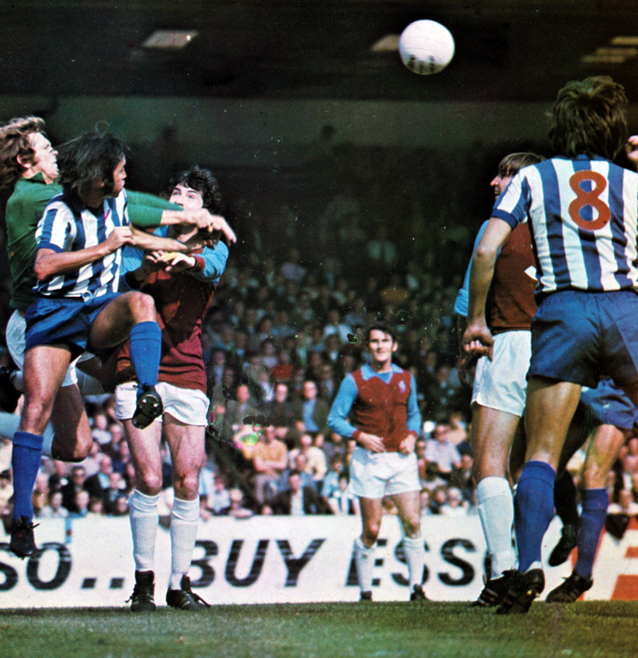 Sleeping giants Villa eventually rejoined the top flight in 1975 and, in a rapid revival, Brighton followed four years’ later. The Seagulls’ first away game in Division One? 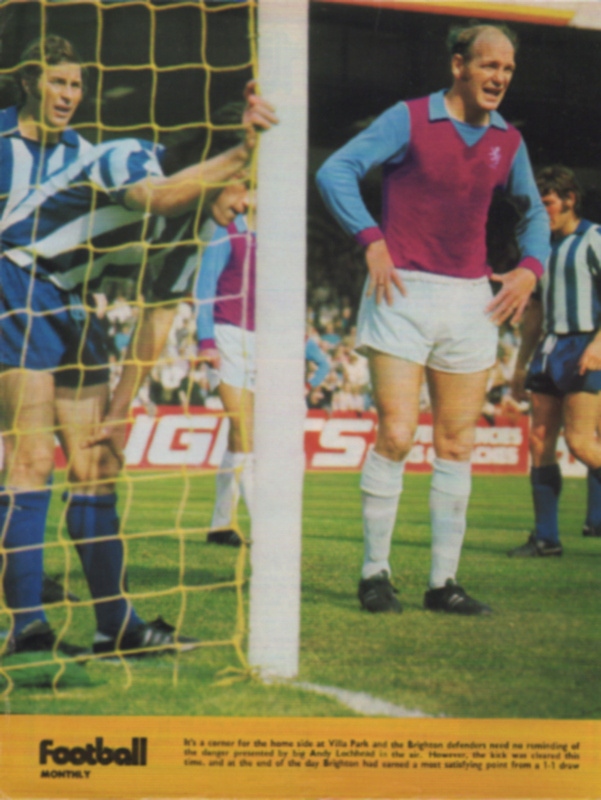 Yes, at Villa Park in August 1979. But despite losing 2-1, Mullery’s men had the know-how and ability to adapt to playing in a higher division. 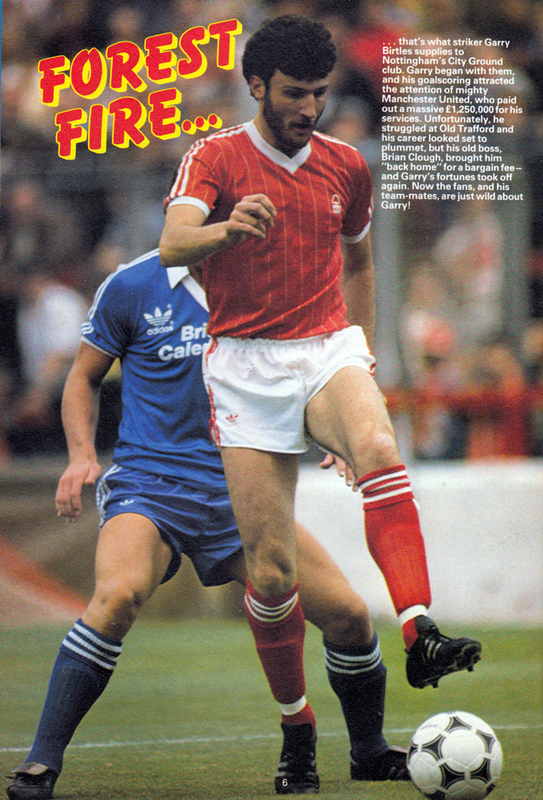 Here’s Garry Birtles in action for Nottingham Forest in his second spell at the club. I don’t know who that Brighton player is! 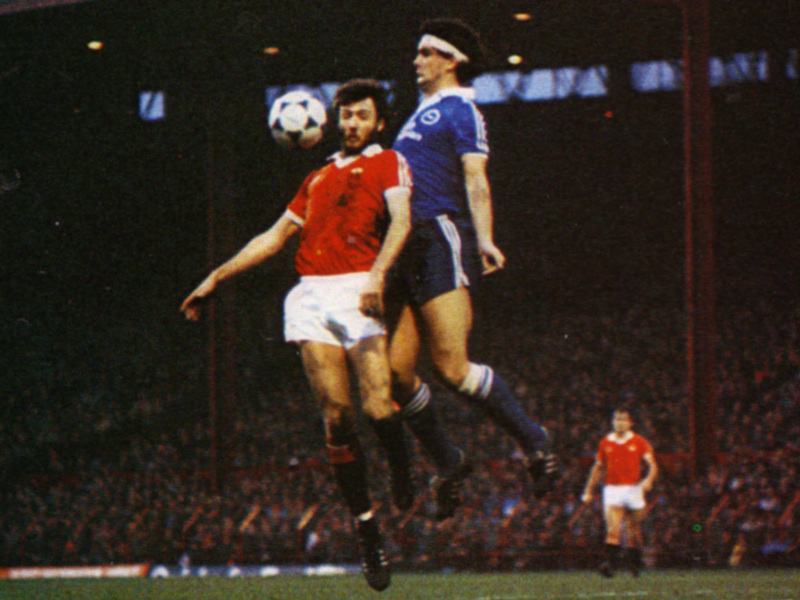 After a month’s trial, Birtles eventually signed for Forest from Gerry Fell’s old club Long Eaton in a £2,000 deal. 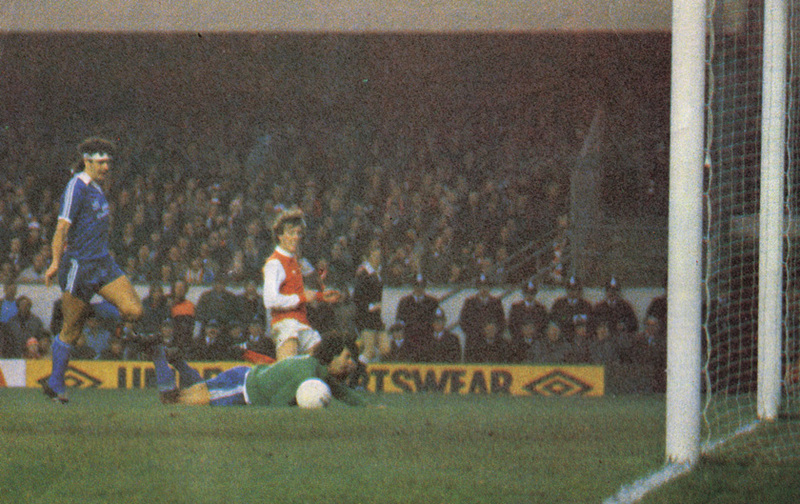 After a slow start, he eventually forced his way into the first team following Peter Withe’s departure. Memorably, the striker scored the first and created the second in a famous 2-0 victory over holders Liverpool in the European Cup in 1978. 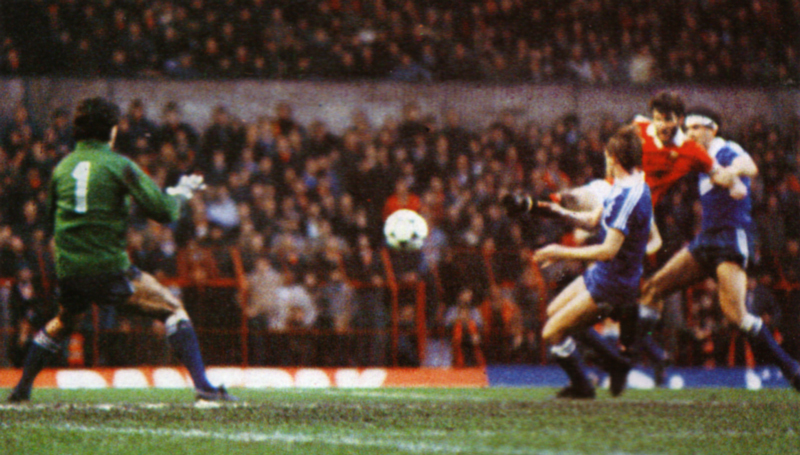 Three months later, Garry tucked home Forest’s third goal against Brighton in a 3-1 victory in the League Cup, after Graham Moseley failed to hold onto Frank Clark’s shot. Such was Birtles’ progress that forced his way into the England team, making his debut against Australia on 13th May 1980 against Australia – Peter Ward making his international debut against the same opposition later that month. Such was Birtles’ progress that forced his way into the England team, making his debut against Australia on 13th May 1980 against Australia, just two weeks before Peter Ward’s only full England appearance. On 22nd October 1980, Clough sold Birtles in a £1.25 million deal to ex-Brighton player Dave Sexton, then boss of Manchester United. It was a fee considerably higher than if he had signed from Long Eaton all those years before. 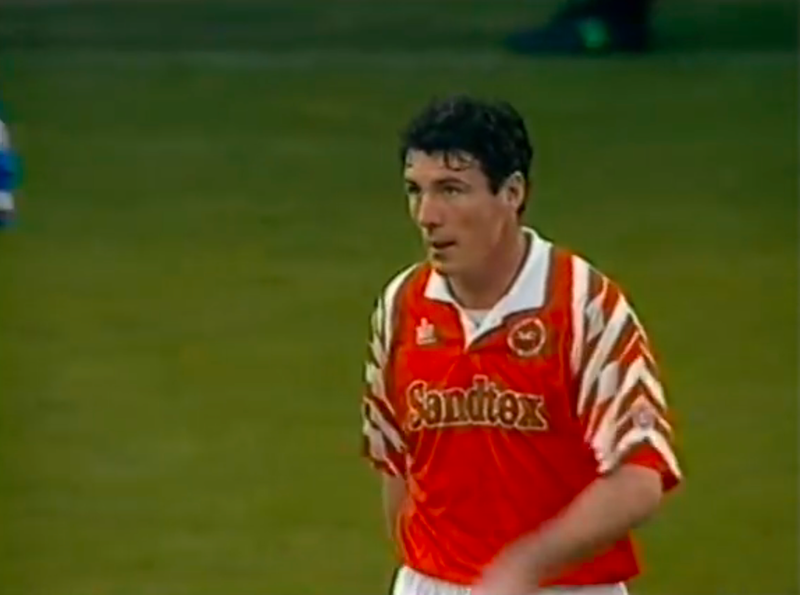 The deal was part of a famous ‘triangular’ transfer that saw Peter Ward join Forest from Brighton for £450,000, and Andy Ritchie arrive at the Goldstone from Manchester United in a £500,000 deal. In 1982/83, the Nottingham-born striker found his way back to the City Ground at a fraction of the original fee. 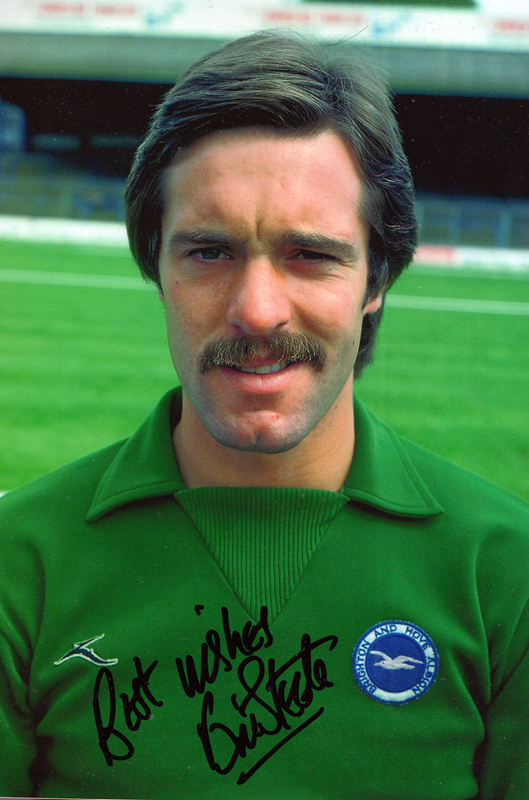 Another misfit, Peter Ward, also returned to Brighton on loan. As for Ritchie, he finished the season back up north, at Leeds United in a straight swop for Terry Connor. 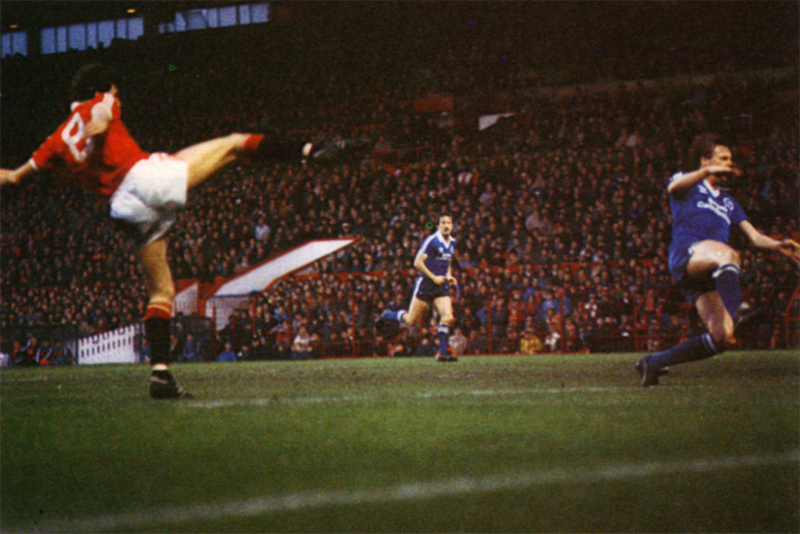 He eventually returned to Old Trafford, in a way, when his newly promoted Oldham Athletic side played Manchester United in August 1991. Going great guns …but for how long? Our win at Brighton is discussed on the Terry Neill page elsewhere in this programme, but it surely must be something of a football record. In two seasons we have met them no less than seven times, four League, one FA Cup and two League Cup (one replay) and Brighton have yet to score a goal against us, while in the same time we have scored sixteen. Brighton will still be hoping, despite this, that we meet again next season as they try to avoid relegation. In the eyes of most spectators, and certainly most of the journalists present, the Albion were a shade unfortunate not to get a point. So another Arsenal game, another defeat. Yet the Seagulls turned things around the following season under Mike Bailey. 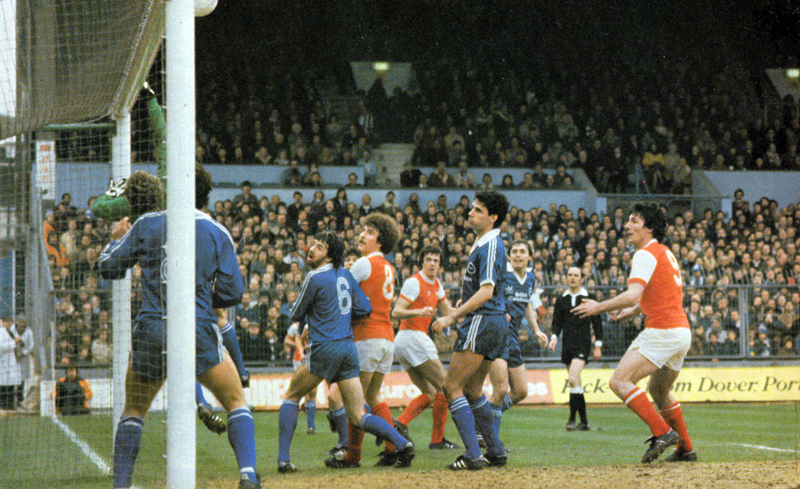 After a scoreless draw at Highbury, Andy Ritchie scored Brighton’s first ever goal against the Gunners in a very welcome 2-1 triumph in April 1982. Did you know that Eric Gill, Brighton’s goalkeeper from 1952 to 1960, is still alive? Joining the club from Charlton for a £400 fee, he is best remembered as the first choice keeper in Albion’s 1958 promotion side. He also made 247 consecutive appearances for the team, equalling the achievement of fellow shot-stopper Ted Ditchburn of Tottenham, missing the opportunity to beat the record through illness. Football is not only my business, it’s my pleasure. I enjoyed kicking a bah around when I was a kid, and I still get that same thrill now as a paid player. The game has given me a good standard of living, enabled me to travel, and made me many friends. And it has also taught me many lessons in life. One is to make provision for the future. I have seen some players (among them top-class men) who have left footbail with nothing. They were too busy enjoying life to give a thought to the day when their legs would no longer carry them around a football pitch. And I have also seen players who did look ahead and make provision for their wife and family. I began to think of doing the same myself – when I was in the middle of a run of 247 successive matches for Brighton and life looked very secure. You see, I had no other trade. I started on the Charlton Athletic ground staff at 17, and football is the only profession I know. Fortunately, I have always been the sort of chap who likes to put a bit of money away for a rainy day, and that has proved a sound habit, as things have turned out. My wife Ida and I decided a short time ago to go into business, and we took the Perrimay Hotel, in Charlotte Street, on Brighton’s famous front. Here is both a home and a business for us and the two boys – Stephen, who is 7, and little Malcolm, who has not yet celebrated his first birthday. Now I feel as though all doubts about the future have gone. This is the sort of venture I always wanted, and I received every encouragement from my club. They like to see a player settled and happy. But please don’t think I am about to retire from football because of this plunge into business. Nothing is further from my mind. I hope to play for many seasons yet, and Soccer remains my chief interest. I shall gradually be learning the hotel business, and part of my close-season activities were spent in redecorating the rooms. 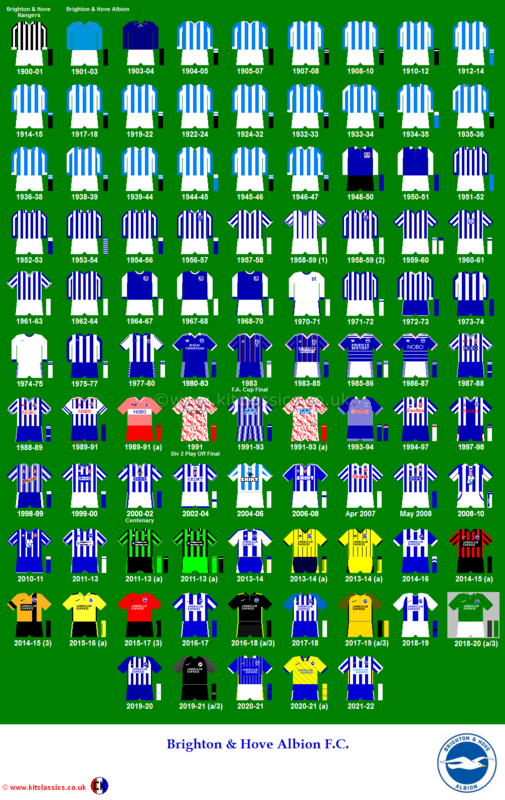 Last season – Brighton’s first-ever in the Second Division – provided me with a great experience. It was wonderful to go round the great Second Division grounds, meeting famous players and taking part in a higher standard of play. For once Brighton were not under a promotion strain. You may remember that in the Third Division they were invariably chasing promotion. Everyone in Sussex expected Brighton to win the League, and there was one narrow miss after another until the job was finally pulled off. All that imposes a great mental as well as physical strain on players. I’m always being asked what it was like playing week after week, setting up a Brighton record as an ever-preeent. It wasn’t until I was approaching the hundredth appearance that I realised I was near a club record. After that hurdle, I forgot all about the run until No. 2oo loomed up. Next thing I knew was that they were talking of my passing Ted Ditchburn’s record of 247. Popular Ted kindly sent a telegram addressed to me at Coventry on the day that his record was to have been broken. But I was at home – ill in bed! So Ditchburn and Gill both fell at the same fence. My biggest-ever thrill, however, came last season when Brighton made me captain at the Valley when we visited Charlton, my old club. 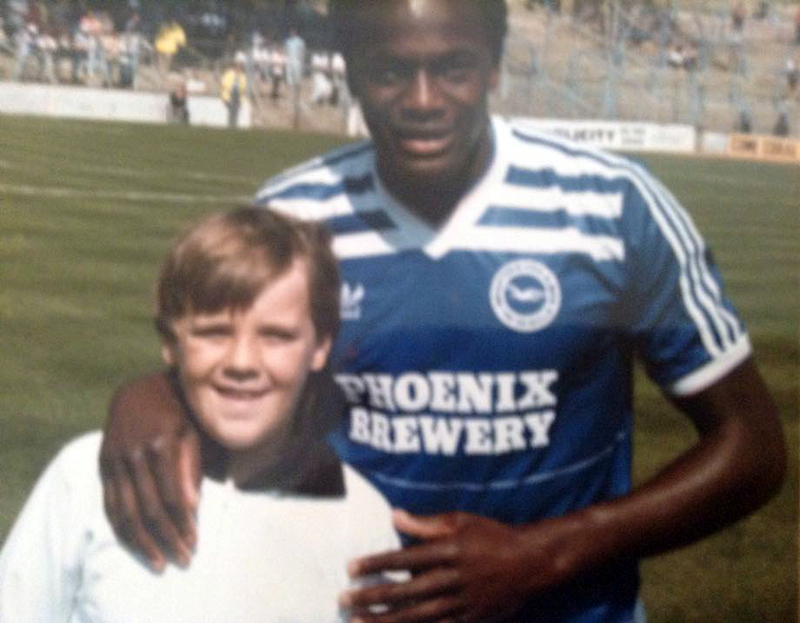 It was the first time I had been on the ground since I signed for Brighton. We gained a fine victory to make it a memorable day for me. Well, the close season is over and, like all players, I’m already peeping ahead to the new season and more thrills. There’s something about football that really gets you! An injury sustained in training during 1958/59 hampered Eric’s play, enabling Dave Hollins to have time to shine as first team keeper. 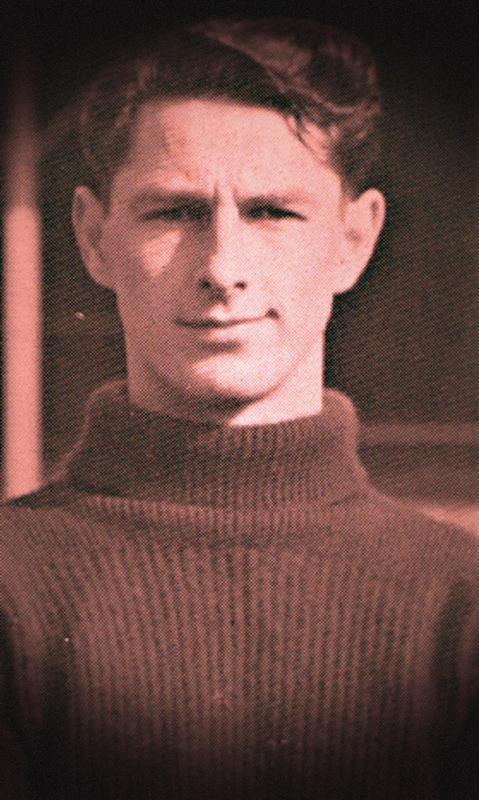 He eventually transferred to Guildford City in June 1960, amassing 225 appearances in six years. As for the hotel industry, after running Perrimay, Eric later moved to run Simpson’s Hotel (now Drake’s) on Marine Parade. He sold the business many years ago and then retired.